Make Some Classroom Noise - Or Not! Make Some Classroom Noise – Or Not! 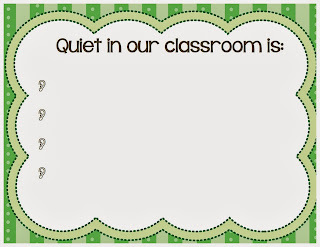 Home / Classroom Management / Make Some Classroom Noise – Or Not! Noise is actually my topic today. We all know that a classroom can’t be completely silent but we also know that kids need quiet when they’re reading, writing and working independently. But we also know that kids like to talk and make noise. So managing the noise level in your classroom is important, hard but doable. This is hands down THE best classroom purchase I’ve ever made! 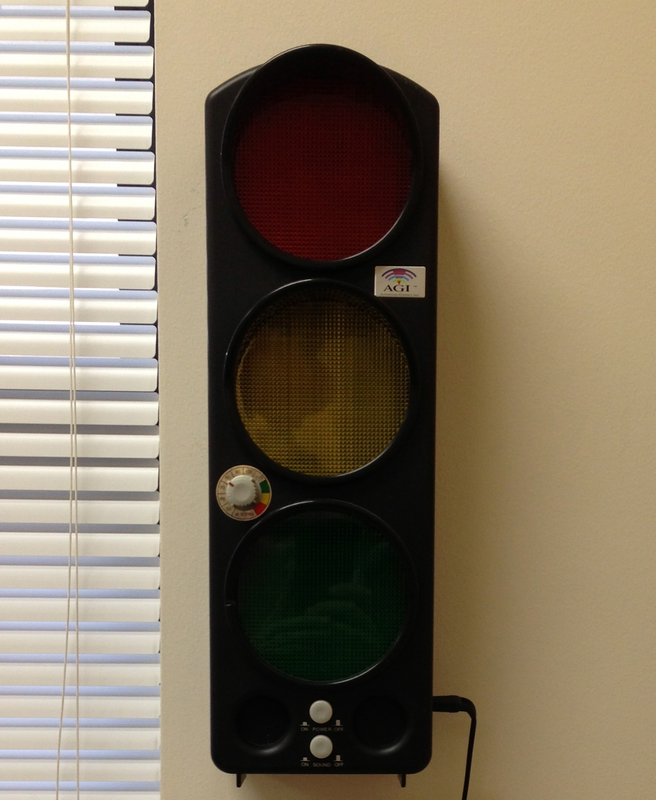 This stoplight is activated by noise, specific decibels (that you can control). 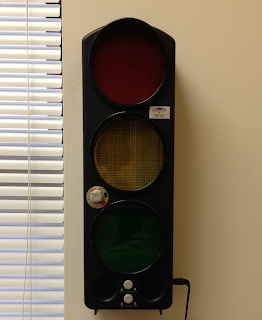 The lights light up and/or make noise when the noise threshold you’ve set is about to be crossed or has been crossed. I use my Yacker Tracker especially during writing time. Once we get situated and start to write, I turn it on. If the “Red Light” goes off we take a ‘gem’ out of our ‘gem jar’ but if we maintain quiet for small periods of time we add ‘gems’. But you can tailor the positives/negatives however best suits your needs. 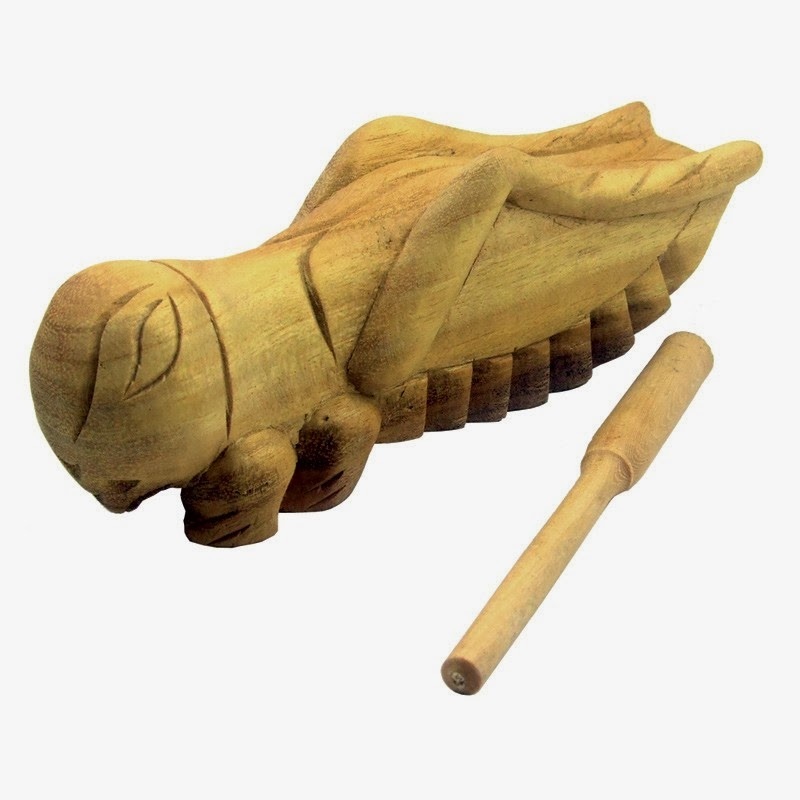 I strike my magical wooden cricket 5 times to let everyone know that the noise level is too high. 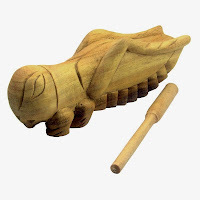 This little creature is especially handy when we do our small reading groups and we have 6 groups going at once. If we don’t hear the cricket we get to add ‘gems’ but if we hear the cricket 3 times, then we lose a ‘gem’. But you can tailor the positives/negatives however best suits your needs. Click to get this chart. These charts work fabulously when learning about/practicing/doing the Daily 5, so they can be adapted to help students monitor and adjust classroom noise. Kids can “plug in” whenever they need it to be quieter than they can tolerate. 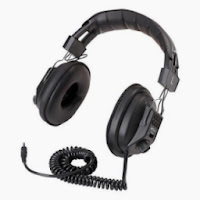 When I say “plug in” I mean, these headphones come with a long, curly tail and this big prong on the end. I tell them to stick that prong into a hole on the leg of their desk. It sounds silly but it really works! So let’s clap and cheer because a new year is here! But then let’s all quiet down and get to work.